At Basecamp Liverpool we offer more than just a professional office space, we are a vibrant community of like-minded entrepreneurs; a supportive environment where members benefit from co-working by sharing knowledge, ideas, connections and forming long lasting friendships as well as opportunities to grow their respective businesses. Being based at Baltic Creative Campus in the heart of the city’s growing creative quarter brings multiple additional benefits including the fact that we co-habit with a wider community of other Digital and creative businesses which provides collaborative working opportunities, access to meeting rooms with conference facilities, regular networking and workshop events, the popular Unit 51 cafe on site, convenient parking and good local public transport links. 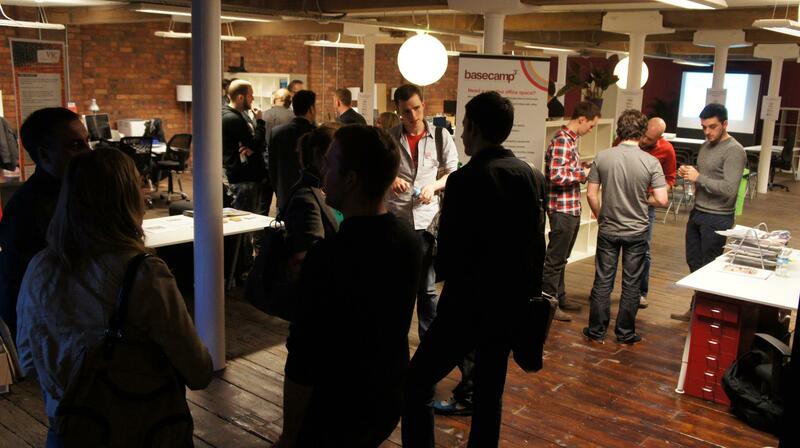 Are you a member of Basecamp Liverpool? "Great space to work, lovely community & people"
This is how you do co-working! Clean, spacious, incredibly functional, very good wifi. Nice induction & introduction to the co-workers & everyone is lovely. It's within the Baltic Creative Campus, a unique space and community to be in which is in the creative quarter in Liverpool. Added bonus - lovely cafe in the building! Full of great, friendly, and supportive people; excellent working environment; very good services and facilities. 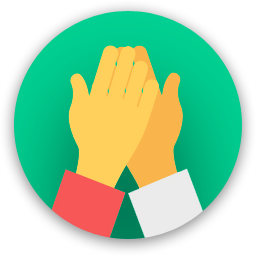 I have been working in Basecamp for 3 months and love the atmosphere and great people. I always feel energised and happy in this workplace and its allowed me to move from home working, which I was not as productive to a office environment for a low cost with great amenities and networking. Break out areas are brilliant for meetings and my clients often prefer to come to me as the location is now so popular! "Quiet when I want to get my head down, but lively and sociable too"
Very friendly people, was made to feel welcome straight away. 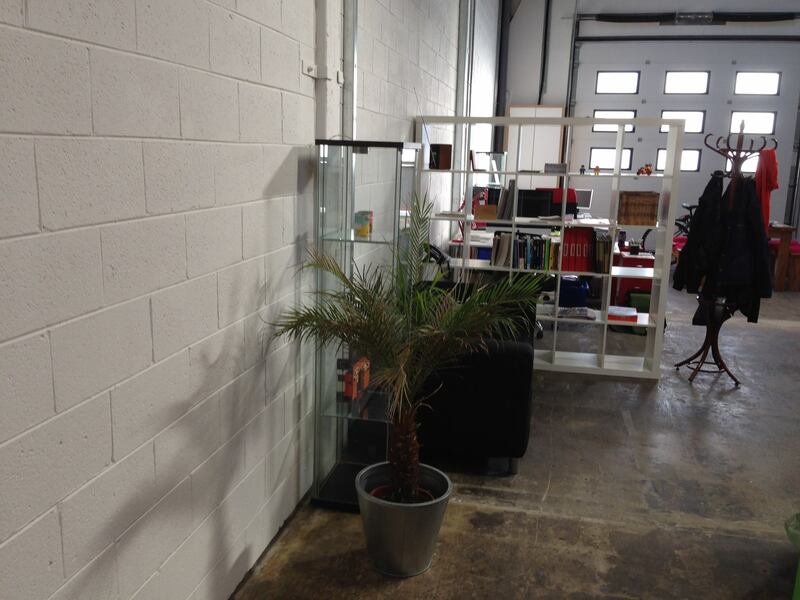 Feels great to work in a completely unpretentious space, surrounded by like minded, entrepreneurial, creative people. Facilities are great - wifi and networked internet perfect, even have an instant boiling water tap for tea! "My corner of sanity on a busy day "
I've had a desk at Basecamp for almost two years and I couldn't be happier with the space. Just wish I could get there more often. It's in a great part of the city and is perfectly situated for meetings with both industry folk and pals. Only downside - RH's jokes. (only messin' Ray). "Been here for 18 months and have no intention of leaving"
"A brilliant place to work"
Basecamp is perfect for me having just started my own business. I'm surrounded by lovely and talented people, the atmosphere is great - people work hard but do so with a smile - it's in a thriving location and it's very reasonably priced. Perfect. "Co-work here. You won't regret it." A friendly, ambient and welcoming open plan environment suitable for all types of co-worker. Superfast 100MB up/down wired internet, with great on-site amenities (kitchen & appliances, showers, bike lock-up), and regular networking (drinks & nibbles) events. One of the best co-working spaces I've used (over past 7 years), cannot recommend enough. 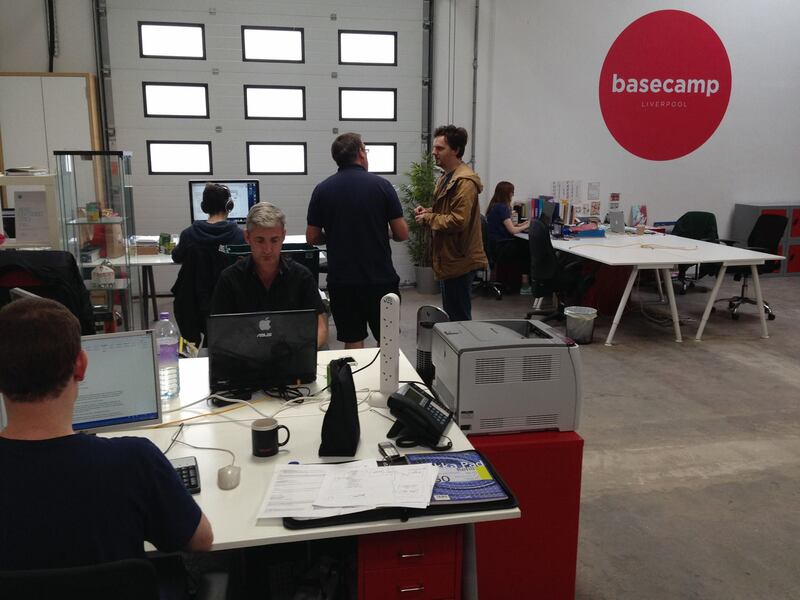 "A great co-working space in a vibrant part of the Baltic Triangle"
Basecamp is an excellent co-working space for companies / individuals either starting up or those needing a permanent address. Basecamp options include 'virtual office' (a postal address), part time desk or full time desk(s) - most arrangements can be accommodated. 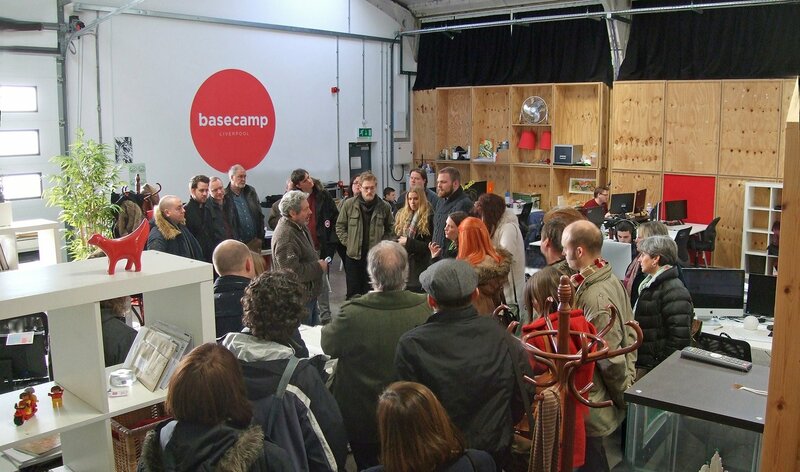 The real bonus to working at Basecamp is that it is part of the wider Baltic Creative campus and as such, all tenants have access to residents parking, use of the meeting room, the POD and cafe space in Unit51, and are all welcome to the wider Baltic Creative networking and social events - not to mention having amazing venues on your doorstep such as Camp & Furnace, Baltic Social, Constellations, The Botanical Garden, Black Lodge, Baltic Bakehouse, Coffee Fandisha, Pao ... ... ... If you are a creative and work in digital, print, design, code etc then you will already have read in numerous press releases and articles that the Baltic Triangle is the place to set up your business and it is fast becoming the epicentre for creative industries. Basecamp is a great place to start your business. "Good space, good atmosphere, well-run organization." I've been a basecamper for close to a year now and I've benefitted from working out of this co-working space. I've made a few new pals, I've been referred new clients through fellow co-workers and having been in my spare bedroom for the first year of operation, I've restored a little bit of sanity to my working day. Oh, its all the little bits too: free tea and coffee, free parking, free heating(! ), and lightening broadband. "All the right aspects of co-working"
The right mix of people and the location make this the best co-working space in Liverpool. It caters for a wide range of people from remote workers to fresh faced freelancers. 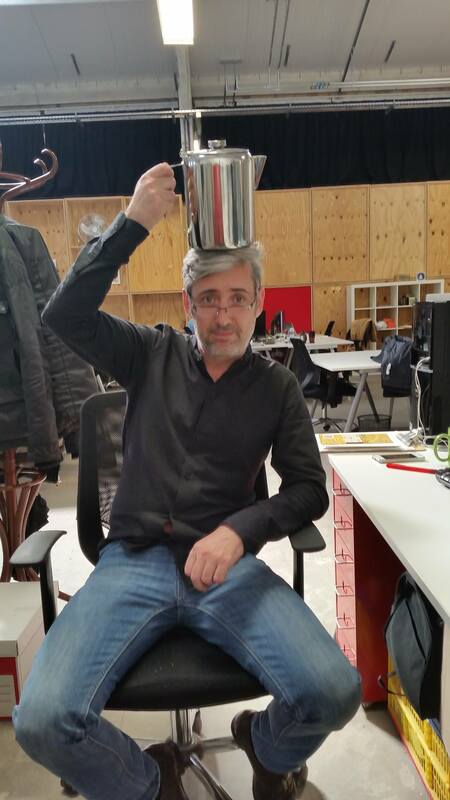 Great place, great people, with everything you need to have a great creative and productive day! Check out Unit 51 coffee shop (serves great food too) on site, and Jamaica Street Sandwich shop (super cheap) within 100ft. 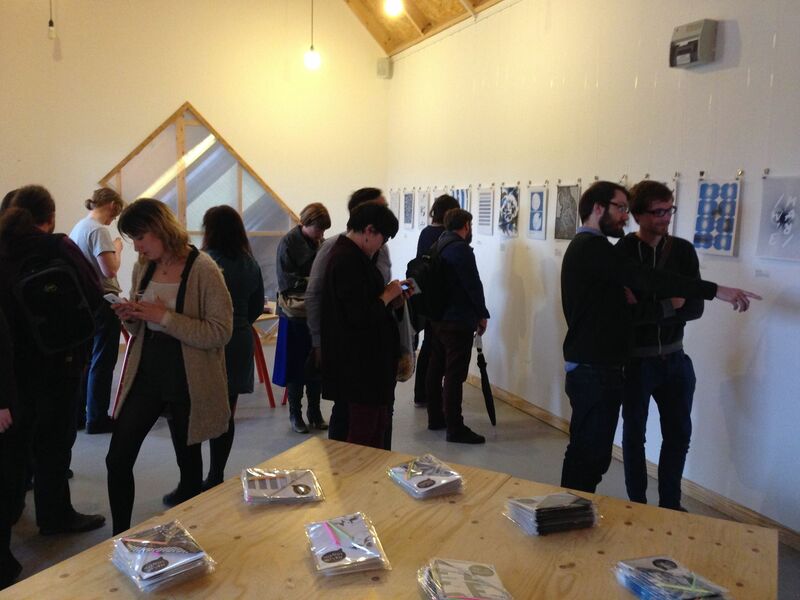 Attend a local social event - you're never short of something happening in the Baltic! Talk to your neighbours when you first sit down - don't be shy. 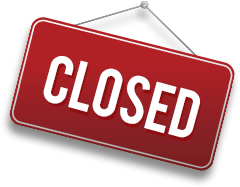 Basecamp Liverpool will be in touch with you soon to confirm. 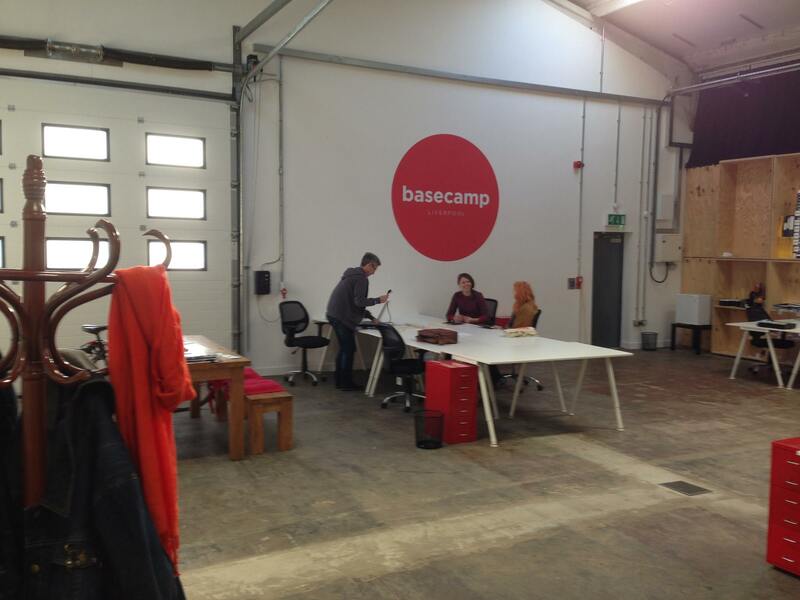 Basecamp Liverpool has received your membership enquiry and will be in touch with you soon.